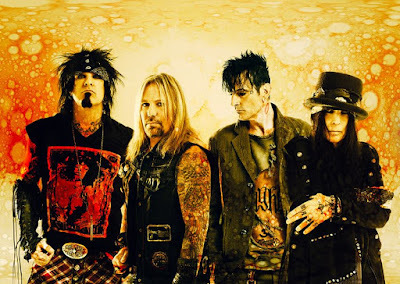 Motley Crue are being sued by New York band The Raskins for $30 million after they say the rock veterans sabotaged their appearances on a 2014 tour. According to the New York Post, Logan and Roger Raskin claim their “once in a lifetime” chance to open for Motley Crue featured months of hazing, including getting blasted with urine on stage. At a stop in Darien, CT., crew members ran out on stage in monkey masks and sprayed the Raskins “with water guns filled with urine,” the brothers claim in the suit filed in Manhattan Supreme Court. The Raskins – who paid $1 million to join the tour – also claim they were forced to play short sets in mostly empty venues after managers often refused to open the doors for shows; the public address system was turned off or interfered with during their shows; they weren’t allowed to sell merchandise or give them dressing rooms; and they were hit with heavy equipment. The Raskins name Tenth Street Entertainment, AGI and other production companies in the suit. It’s the second high-profile lawsuit filed against Motley Crue in recent months after photographers Barry Levine and Neil Zlozower announced they are seeking compensation for unauthorized use of images they both shot of the band were used on a variety of farewell tour merchandise without their permission.